Credica asked us to design a small brochure to introduce their company to new potential clients, such as at conferences or through a mailing request. 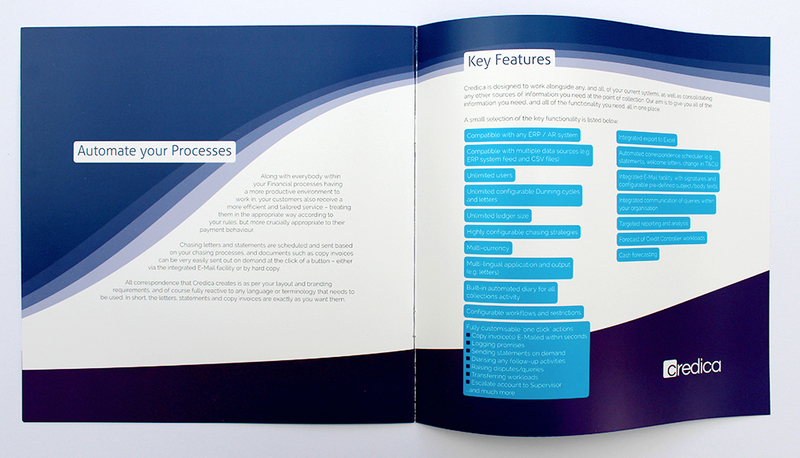 The finished brochure design uses their existing logo and company colour palette. We developed a graphic device concept of curves to visualise the smooth and seamless application of their credit management software product. 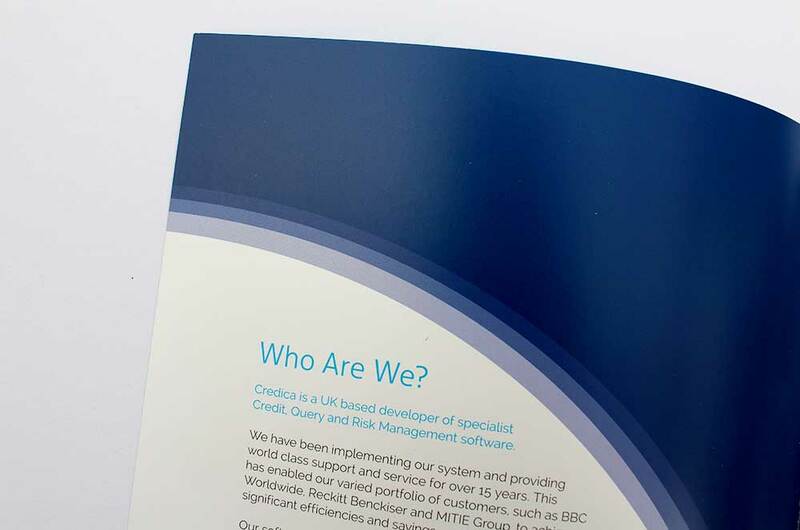 Each page describes a new feature of their product and is visually connected to the next page through fluid forms thus evoking the ease with which the Credica product can support their clients' credit management. 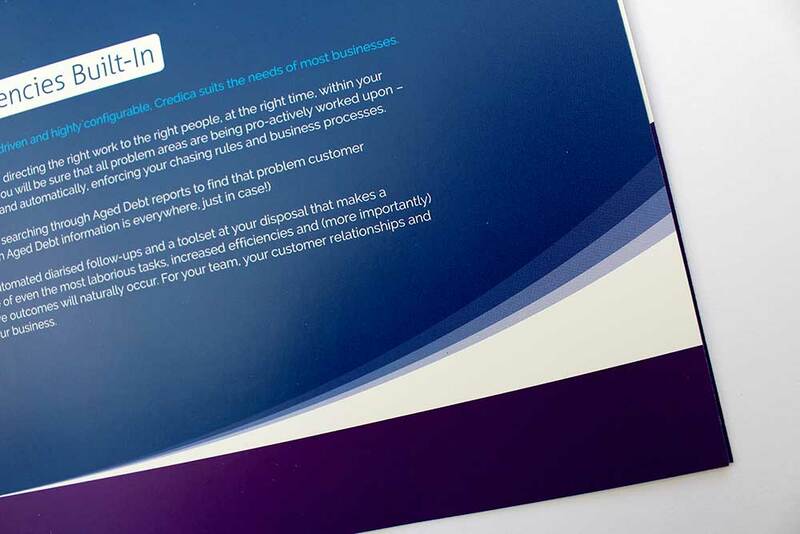 The printed brochure included a spot UV varnish on the white areas of the front and back covers. We used the same curved graphic devices to develop a set of exhibition banner stand graphics for Credica.